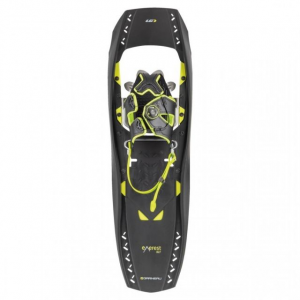 Louis Garneau designed its Everest Snowshoe so you can float over deep powder and hike up to the summit. The light and sturdy deck has a sharp edge and a Snowfree Surface that shed snow in order to give you a more natural stride over deeper snow, and U-Bar technology molds the sides of the deck into a U shape for reinforcement. 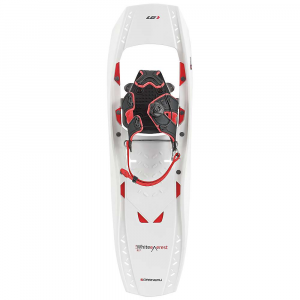 Its Freemotion pivot lets your foot rotate on the axle for an efficient stride that also prevents the snowshoe from hitting your leg while you hike. 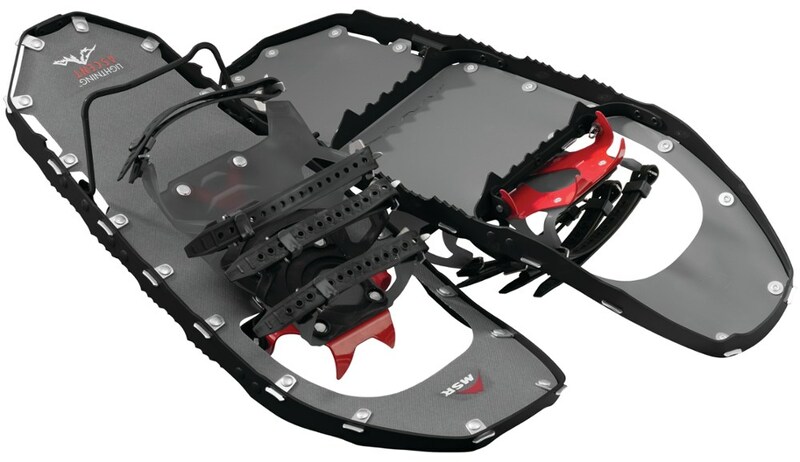 While the V-Rail crampon maximizes your traction on steep hills and traverses whether you're hiking up or down, the Zero Boundary HCS crampon provides absolute traction on any terrain and condition. 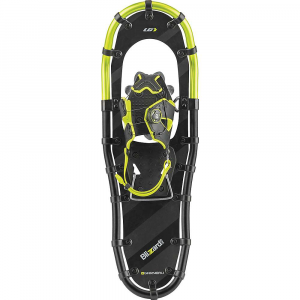 The snowshoe's Contact harness utilizes a Boa binding to cinch any boot with stable support that you appreciate on technical terrain, and Louis Garneau added EVA padding to prevent discomfort from painful pressure points. And a step-Up heel raiser reduces fatigue in your calf while you hike up the steepest sections of your summit ascent. 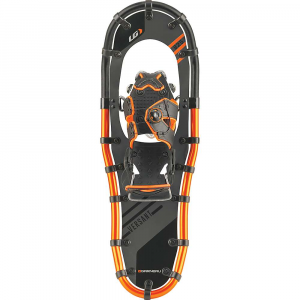 Designed for adventurous backcountry hikes, the Louis Garneau Men's Black Everest is a high-performance snowshoe perfect for steep ascents and access to summits.